One of my favorite things about living in Bend is being just a few hours away from Oregon’s coast. Early one morning in August, I drove to Pacific City to get in a day of surfing. 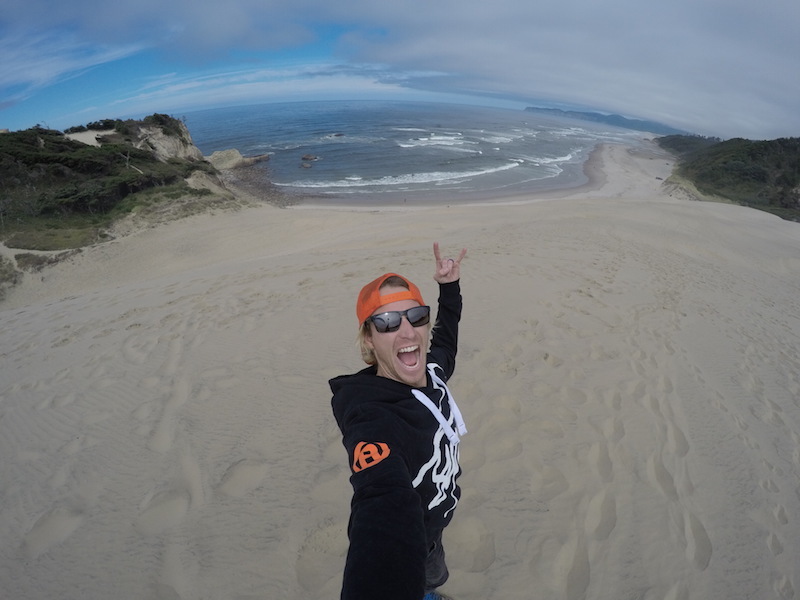 In the summer, Oregon’s surf can be a little fickle. You can get anything from two to ten foot (about half a meter to three meters) swells. 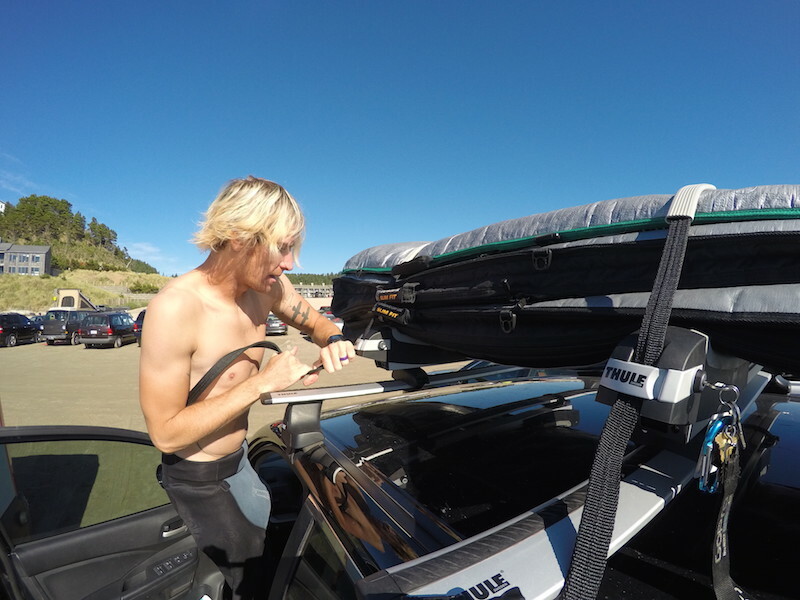 In order to adapt to the different conditions, I packed three boards—one longboard and two shortboards—using my Thule rack system. The rack is awesome because you can adjust the size depending on what gear you need to carry. I also brought my Thule Legend backpack. 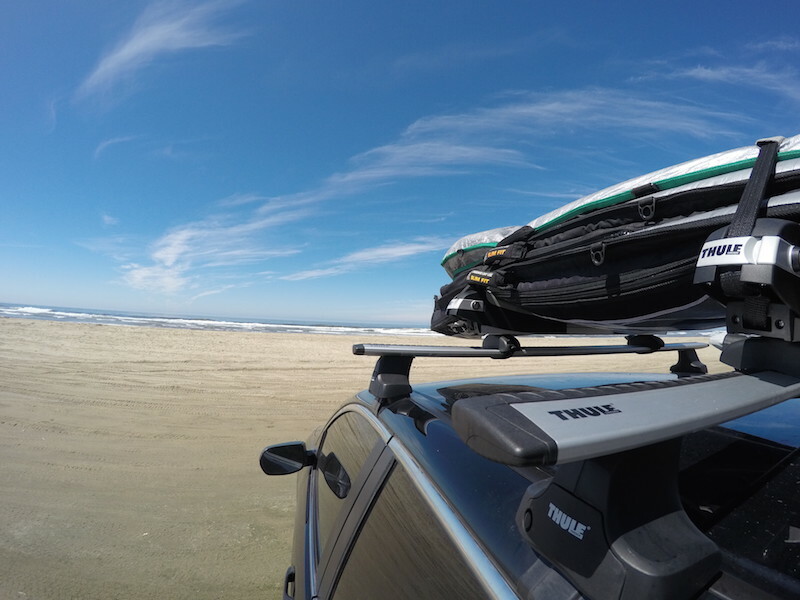 I helped developed the backpack with Thule, designing it so that it can hold all my gear and keep it all organized and streamlined. 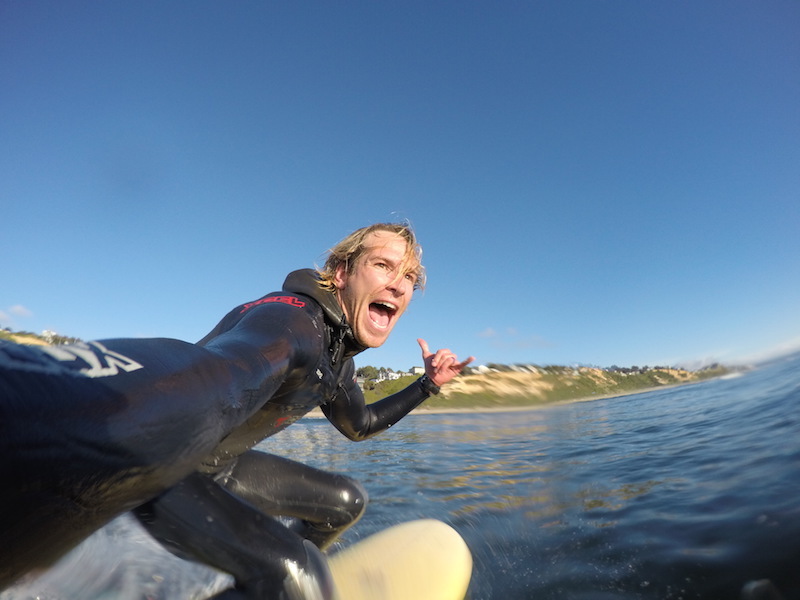 When I got to Pacific City, there was a playful swell, but the tide was too high for the waves to break and wasn’t right for surfing yet. I was sitting in my car, thinking about what I should do next, when I heard my buddy Bam Bam call my name. (In Oregon, you’re always running into people you know, no matter where you are.) He was cruising the coast looking for a spot to paraglide. 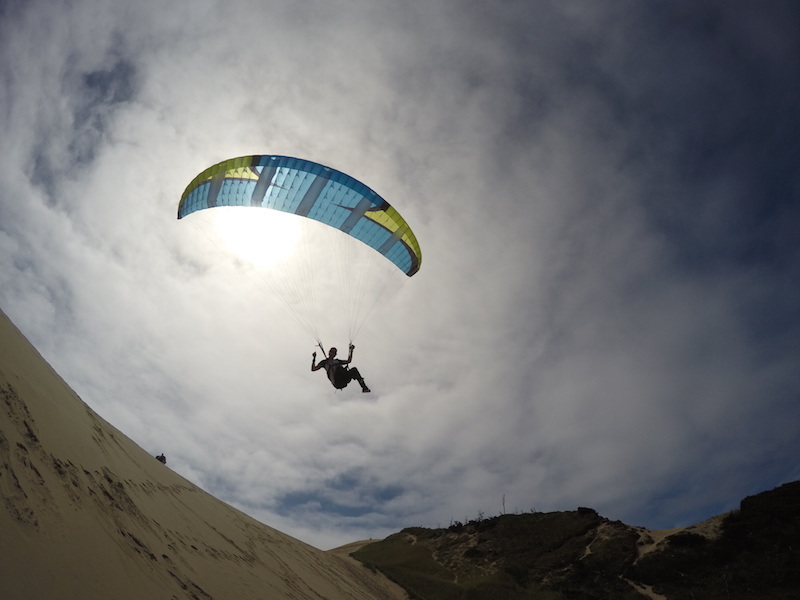 He had extra gear, so I ended up paragliding with him for awhile while I waited for the tide to go down. 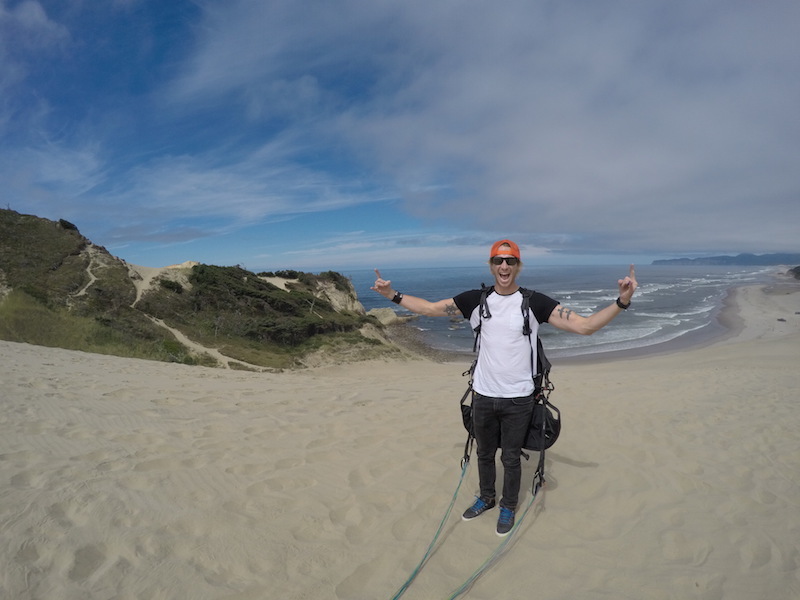 We drove to the north side of the dune at Cape Kiwanda where there was just enough wind to paraglide. The wind was coming from the north at about 5 miles per hour (about 8 kilometers per hour) which was perfect for this side of the dunes. 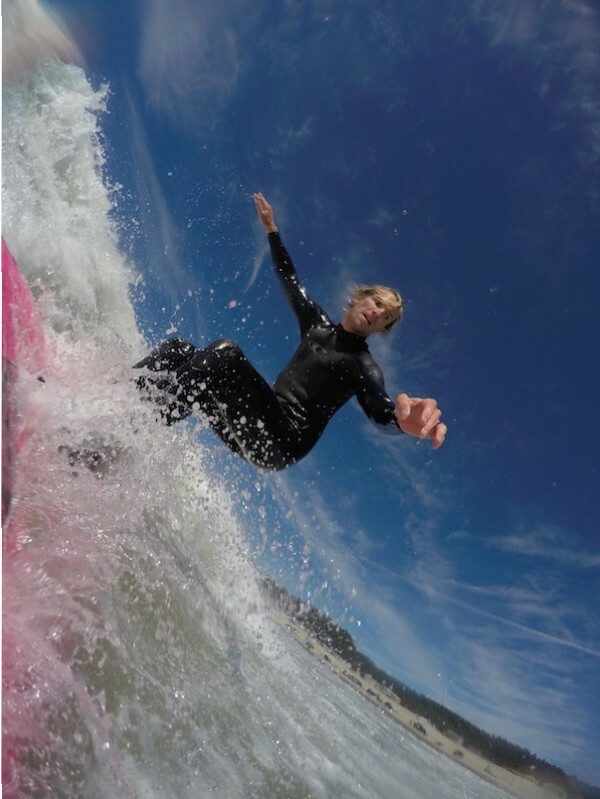 I got some great flights in for about an hour and a half while I waited for the tide to go down so that I could surf. After I said goodbye to Bam Bam, I drove to the south side of the dune to surf. The tide had gone down by then, and was breaking better on the sandbar. I decided to use my shortboard since it’s more dynamic than a longboard and is great for the steep, fast waves. 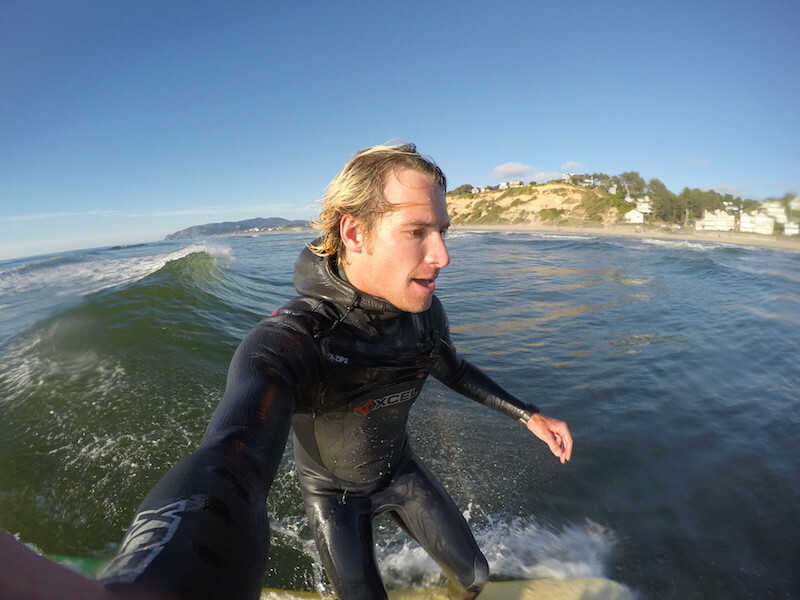 I surfed there for about an hour before the waves changed and I had to find a new spot. I decided to go head south to Canyon State Park near Lincoln City. It turned out to be the perfect destination because no one else was in the water. 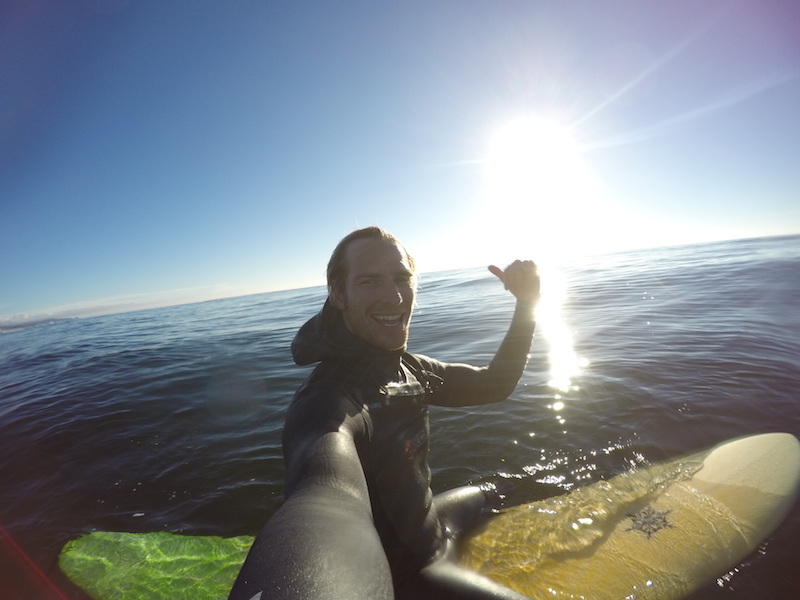 Since the waves were shorter and more mellow by then, I used my longboard. 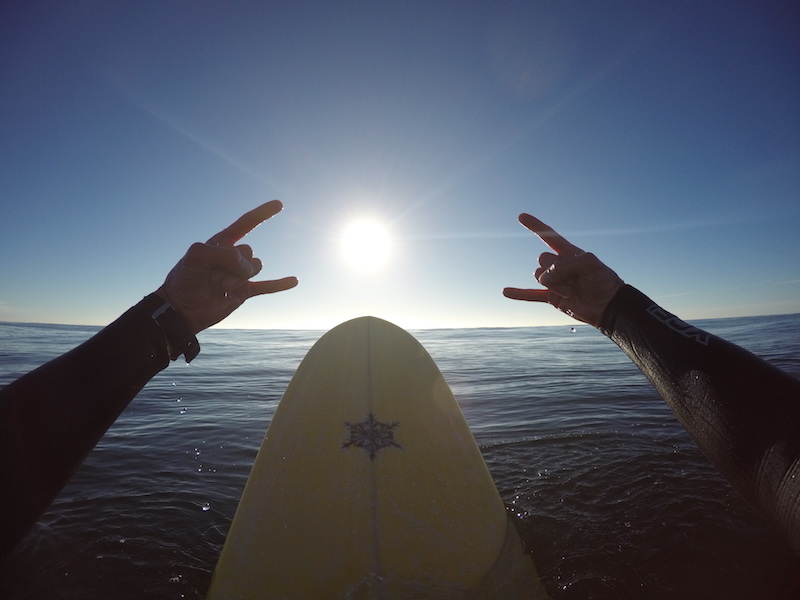 By that time, the sun was setting and I surfed the waves by myself in the golden hours of light. SUPERADVENTURE WEEK SIX - Grand Prize Week!